Prices are per person based on two adults sharing a cabin and include cruise as stated. Subject to availability and change. *Onboard spending money amount is per Outside cabin. Terms and conditions apply. 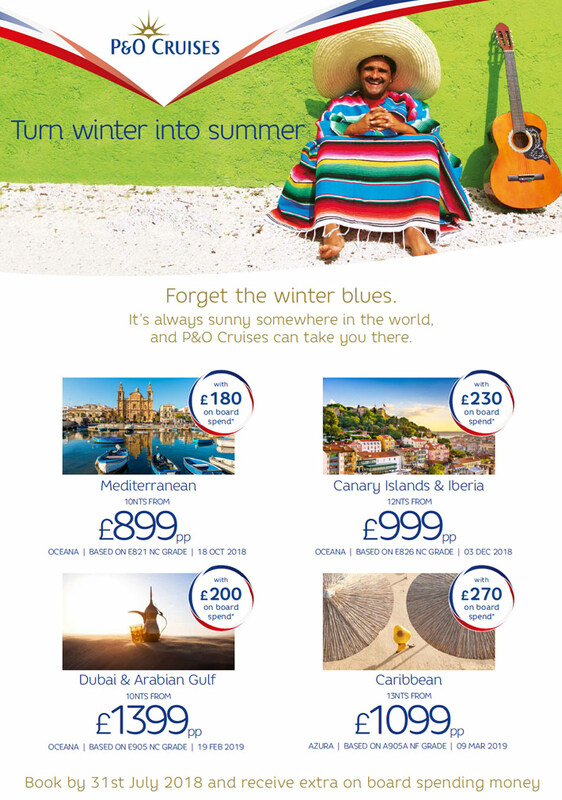 Premier Travel are acting as an agent of P&O Cruises ATOL 6294.